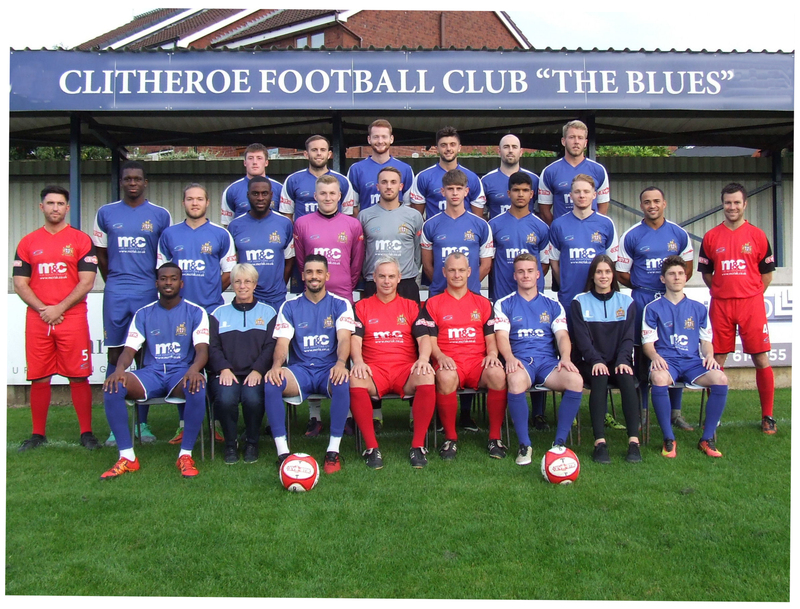 As a new chapter in Clitheroe history began, with assistant manager Lee Ashforth moving into the hot seat temporarily, the Blues showed signs of encouragement, but were left to rue missed chances as a well-organised Colwyn Bay side, returned to Wales with all three points. ‘The Seagulls’ began the game looking to get themselves back on track, after back-to-back defeats. Clitheroe on the other hand, came into the game looking for their first home win of the season. With 4 minutes gone, some good pressure and movement led to the Blues gaining a corner. The cross bypassed every Colwyn Bay player and landed onto the head of Zehn Mohammed, who was looking to score his second in as many games. Unfortunately for the Accrington Stanley loanee, his header ended up behind the goal, rather than in it. On the 11th minute, the away side had their first chance of the game as Lassana Mendes saw his long-range drive blocked, before Craig Pritchard’s follow-up was ballooned over. On the 18th minute, Jacob Gregory had a chance at goal, but his shot missed the target and flew over. Three minutes after Gregory’s attempt, Colwyn crafted an opportunity that saw James Barrigan test Cameron Terry. Bay’s joint top goalscorer received the ball inside the Clitheroe area, before firing a weak shot which Terry saved. Colwyn’s pressure increased on the 23rd minute, as they had their third opportunity of the half. Captain, Tom McCready’s wide free-kick was planted onto the head of Lassana Mendes, who couldn’t keep his header down. Nine minutes after Mendes headered wide, his side came forward once again to try and break the deadlock. The lively Craig Pritchard controlled the ball, following some pressure to dispossess the home side, before releasing a shot that forced the impressive Terry, into another save. Shocked from that flurry forwards, the Blues tried to react through Obi Anoruo. Jacob Gregory slipped the forward in, before Anoruo’s late shot produced a solid save from goalkeeper Patrick Wharton. Wharton’s heroics weren’t limited to Anoruo’s shot however, as he had to quickly recover and deny Recizac’s follow-up, which was met by cheers from the small number of travelling support. With 39 minutes gone, Colwyn Bay could have gone into the break ahead, had it not been for Terry. Mendes and Pritchard combined well as the latter received a pass, which had bypassed the whole of Clitheroe’s defensive line, before striking a shot that Terry comfortably held. With half-time looming, on the 43rd minute, Anoruo had the final chance of the half, which was a carbon copy of his previous effort. After being played through again, he was again denied by Wharton. Both teams re-emerged for the second-half intent on scoring, but despite Clitheroe kicking-off, it was the away side who soon broke the deadlock, as James Barrigan added to his league tally on the 46th minute, to score his third league goal of the season, after a near-post shot beat Terry and made it 1-0 to Colwyn Bay. From that point, the game fizzled out into a possession battle, as Clitheroe failed to create the necessary chances to salvage a point. On the 65th minute, Lee Ashforth reacted to his sides’ lack of creativity by making a double change. Jacob Gregory and Antoine Recizac departed and were replaced by Harry Cannon-Noren and Macauley Harewood, respectively, as the caretaker manager altered his side’s formation from a 4-1-4-1, to a 4-4-2. After the changes, Clitheroe immediately had a chance to draw level, on the 70th minute, as they were awarded a wide free-kick which Lewis Sugden stood over. The number 6’s cross was met by Derek Ubah, who headed over. Over the course of the next 10 minutes, both sides rotated their teams. For Clitheroe, Jay Jeffries was replaced by James Sloane, whilst Colwyn withdrew Callum Hassan, Craig Pritchard and Danny Andrews, and replaced them with Ethan Devine, James Devine and Lewis Moynes, respectively. With the game heading into the closing stages, Cannon-Noren had a chance to guarantee Clitheroe a point, on the 88th minute, when he connected with Sugden’s free-kick. Unfortunately for the substitute, his attempt flew over the bar, as the game entered into 4 additional minutes. On the 91st minute, Clitheroe’s chances of snatching a late equaliser disappeared. Some good pressure by the Colwyn substitutes, James and Ethan Devine, allowed the former to set up the latter, for the game’s second goal. Ethan Devine received the ball, before turning and dispatching a wonderful curling effort that left Terry stranded, as the away side celebrated the goal that, not only put them 2-0 up, but secured them the three points. The Blues’ next couple of games sees them make back-to-back trips to mid-table Ramsbottom United, where they face the Greater Manchester side, first in the Integro League Cup on Wednesday 19th September, then in the league on Saturday 22nd September.